TVs, outdoor, HD, LCD, SunBrite, Crestron, AMX, IR controls, patio, barbecue, gazebo areas, poolside, restaurant patios, amusement parks, outdoor venues. 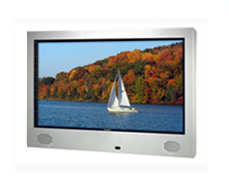 SunBrite's TV products are time-tested in commercial (and residential) applications across the country. What makes SunBrite TVs the product-of-choice for some of the most prominent outdoor commercial video installations across the US? First, all weather enclosures protect internal components from rain, dirt, insects and scratches as well as extremes in temperature changes. Next, a patented baffled and filtered dual fan airflow system keeps the units cool and dry in all environments. 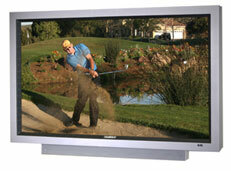 The proprietary Multi-Fan Airflow System, allows the TV to remain cool and safe in temperatures up to 122 degrees. With variable fan-speed controlled by the TVs internal thermostat, increased cooling is provided as needed, therefore keeping fan noise to a minimum. The TV's thermostatically-controlled heater activates automatically to control condensation and allows the TV to safely remains outdoors in temperatures as low as -24 degrees farenheit. The innovative watertight cable-entry system and pass-through system keeps cables dry, not to mention easy to hook up. Conformal exterior coating protects internal electronics from humidity related corrosion damage. Finally, all units have IR external control window for use with Crestron- and AMX- type control systems and feature video inputs, including: two HDMI connections, component, VGA, S-video, composite, RF, RS232 serial along with the discreet IR control. A variety of options are also available from SunBrite, including: wall mount/ceiling mounts, table top stands, deck/planter pole and dust covers and wireless audio FM transmitters. 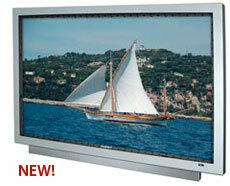 SunBriteTV has gone small and introduced the 2220HD all-weather outdoor display for areas with space restrictions. It’s a 22-inch 1386x768 pixel LCD TV in corrosion-resistant aluminum, and it uses SunBriteTV’s multifan airflow system to stay cool up to 122 F and a thermostatically controlled heater to protect the TV down to minus 24 F. It features two HDMI connections; component, VGA, S-Video, and composite inputs; and RF, RS-232 serial, and discrete IR control. It can also accommodate SunBriteTV’s internal media compartment, a factory upgrade that holds a Cisco Systems Digital Media Player or Enseo hospitality tuner in a watertight compartment. Call AVIVA Rental Systems at 804.353.9212 or e-mail us at doe@avivarentals.com today about purchasing a SunBrite Outdoor, All-Weather TV. Click to view SunBrite's accessories brochure. Click to view cabinet color options. 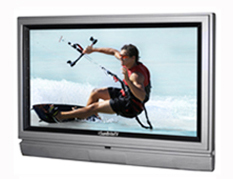 SunBrite's TVs are engineered to stand up to the complex challenges that are inherent to commercial outdoor applications. The following are some of the innovative outdoor solutions that makes SunBrite's TV the prominent leader in outdoor installations. Call AVIVA Rental Systems at 804.353.9212 or e-mail us at doe@avivarentals.com today about purchasing a SunBrite, Outdoor, All-Weather TV.